The Summer season is just about here with Royal Ascot and Wimbledon just a few weeks away. 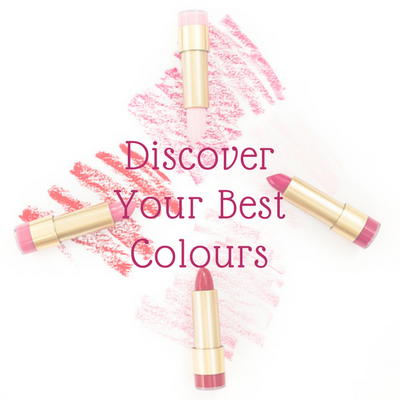 If you have one, or several events lined up you are probably wondering what to wear. 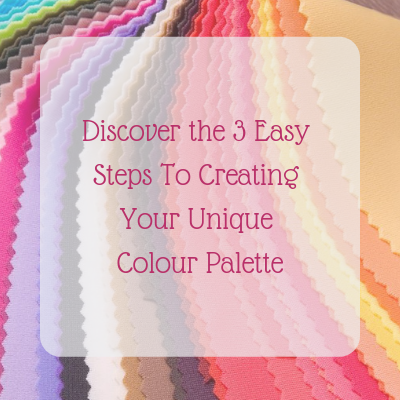 As well as how dressy you should be and whether a hat or fascinator is required. Well worry no more because below I have created some looks to answer the question of what to wear to Summer occasions. Ladies are required to wear dresses or skirts with a hemline below the knee. Ladies will not be admitted wearing divided skirts, culottes or trousers of any kind.Whilst not a requirement, it is customary for ladies to wear hats. Formal evening dress is customary for the summer Festival. Given the perils of the British weather, it is advisable to bring an additional, warm layer: cardigans, wraps and jackets are a good idea! If there is no dress code on the invitation and you are unsure, check with the bride. However, a church wedding and formal wedding breakfast would normally be more dressy than a country house hotel or wedding venue where you may not need a hat. I am often asked whether it is ok to wear trousers to a wedding and mostly the answer is yes. For a church I would suggest a trouser suit or co-ordinating trousers and top (see below) with a hat, or without the hat for a less formal wedding. 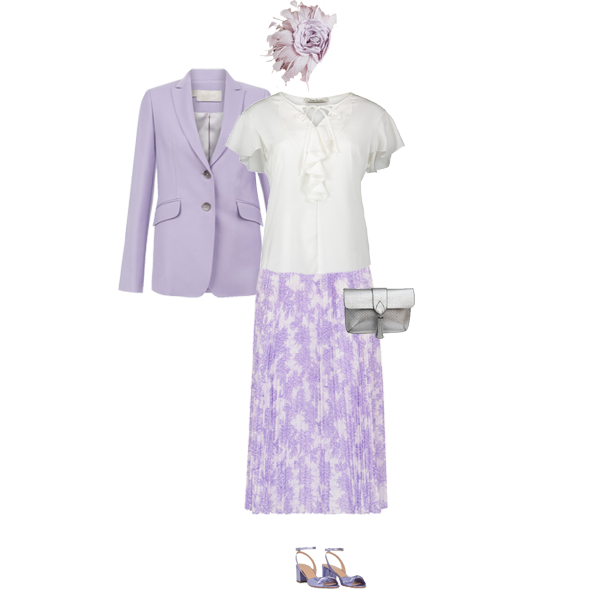 Wear this outfit as a wedding guest, you could remove the jacket if it’s an informal wedding and swap the hat for a hair accessory. 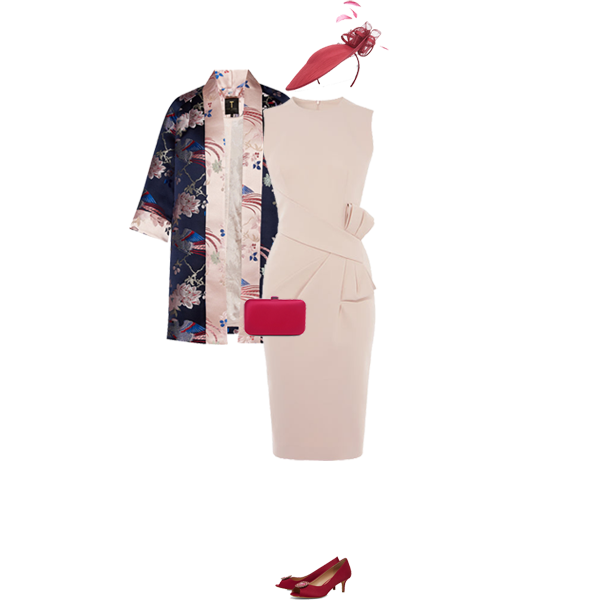 Then later wear the jacket to work or with a pair of jeans at the weekend and the dress for dinner or on holiday. 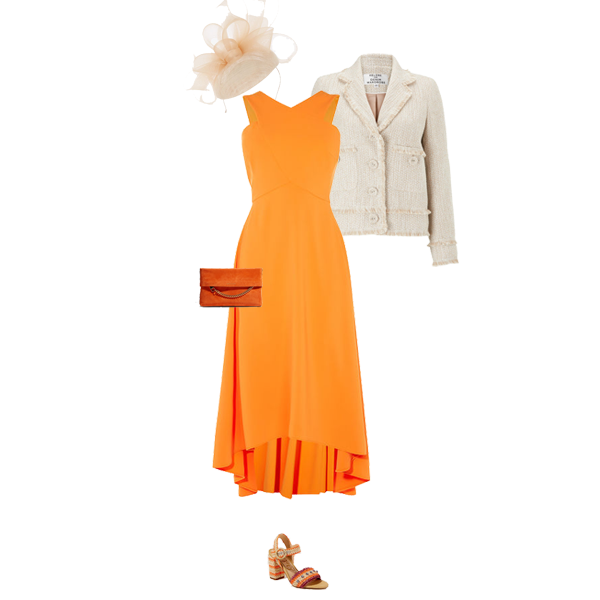 The perfect feminine outfit for a Summer wedding. Separates are a great idea, as all these pieces can be worn again. Wear the jacket for work over navy, the skirt dressed down with relaxed top, the sandals with white jeans and the bag for evenings and occasions, now and through the Christmas season. 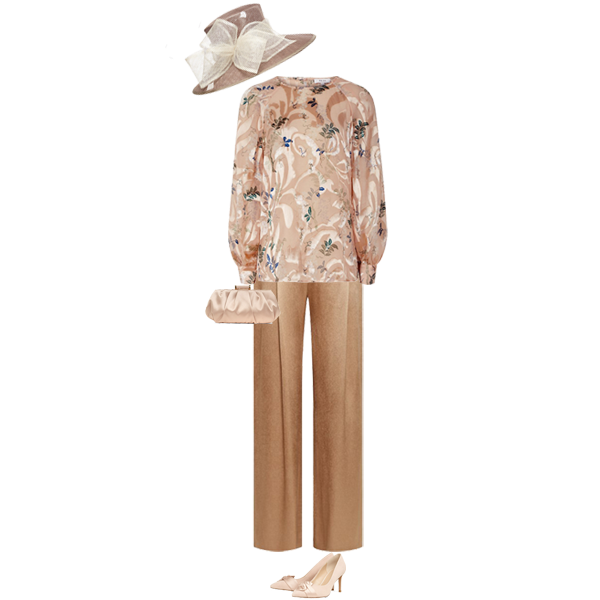 A stunning outfit for Mother of the Bride (or Groom) At the Royal wedding many of the guests didn’t wear jackets and with a dress like this you wouldn’t need to (this brand also designed the dress Pippa Middleton wore although it has of course sold out, though there may be a restock) As Mother of the Bride you add a big statement hat and some fabulous shoes. 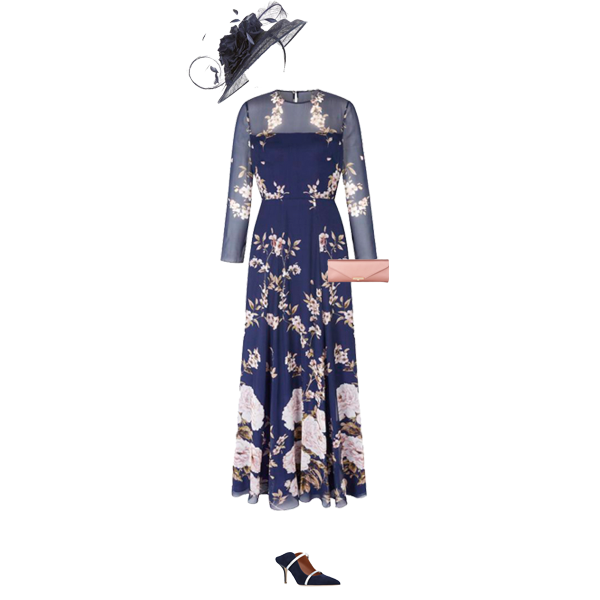 You could also wear the dress and bag to Glyndebourne, but I would suggest a block heel which is easier to wear on grass and just add a pretty wrap in case it gets chilly. A longer length jacket or coat is another good option, especially if you have a sleeveless dress and it is a bit chilly. 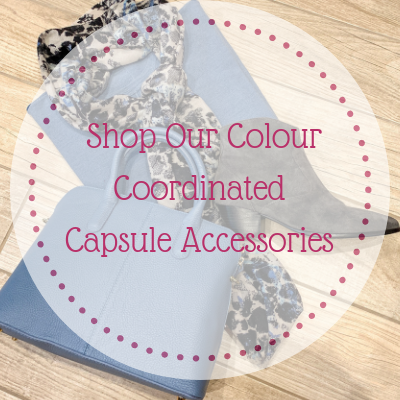 I’ve used one of the accent colours for the accessories, but if you want to get better cost per wear, choose accessories in navy or cream. This stunning jacket would look equally good over a navy jumpsuit or a burgundy dress at Christmas. For an evening wedding I’ve paired this beautiful dress with a delicate hair comb rather than a hat. It would look just as good with silver accessories too. Again wear it for Glyndebourne with more practical shoes and a wrap. Finally for the trouser option, I have chosen stunning pieces in a mix of neutrals for an expensive and glamorous look. These trousers would look gorgeous with red too if you wanted to go for a brighter option and the blouse has bright blue and green that you could match up with alternative trousers or accessories. I hope that has given you some inspiration for event dressing this Summer. 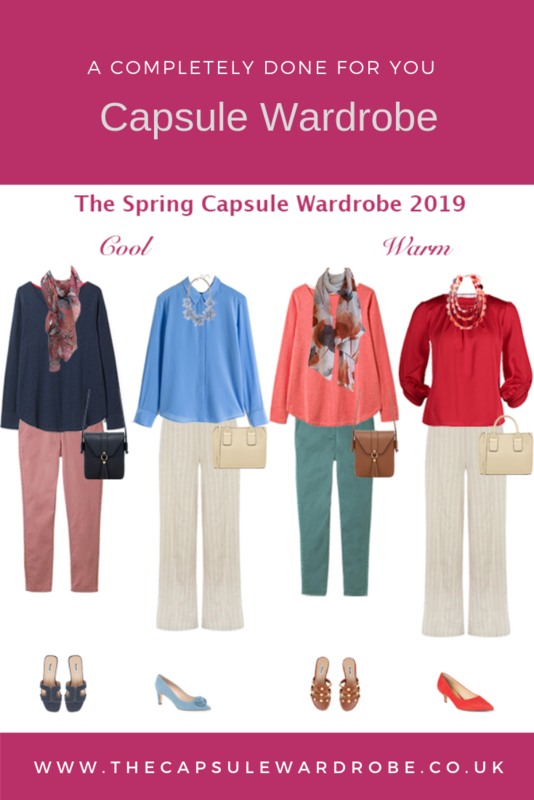 Don’t forget if you need help and would like me to create a special occasion outfit for you, book one of my capsule wardrobe services. 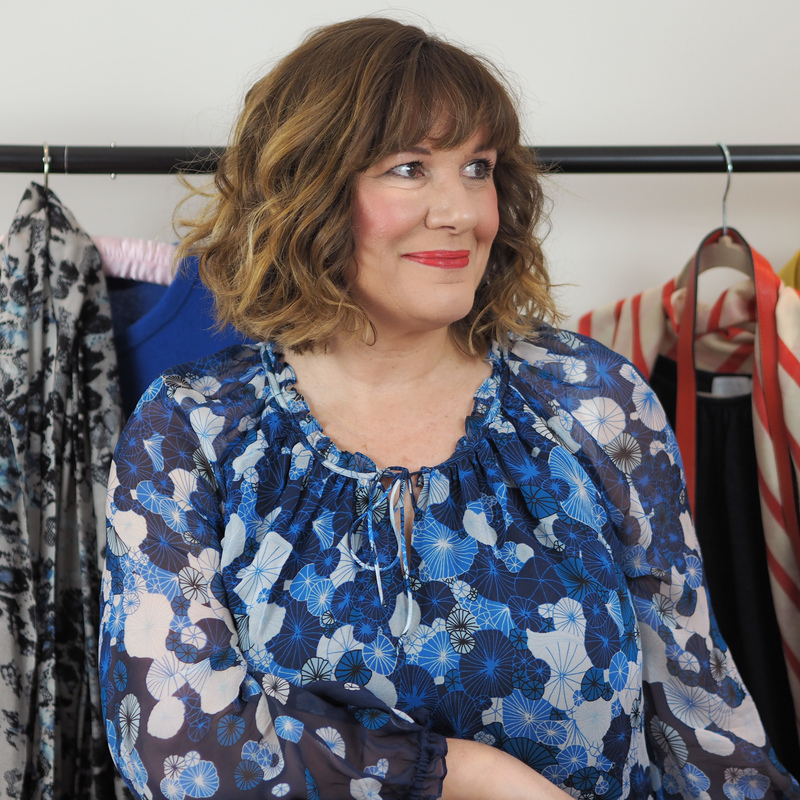 The outfit maker is just £49.